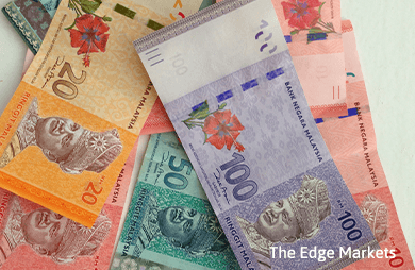 KUALA LUMPUR (Aug 10): The ringgit strengthened to 3.910 versus the US dollar this morning despite the FBM KLCI's continued dive to as low as 1,659.67 points. As at 10.30am this morning, the local currency was trading at 3.9230, up 1.07% from 3.9650 last Friday's close. Last week, the ringgit was the only Asian currency that was making new highs and maintaining that level given the relatively weak international reserves in Bank Negara Malaysia (BNM) which fell below US$100 billion and merely able to support 7.6 months' worth of retained imports. BNM's international reserves shrank to US$96.7 billion (RM364.7 billion) as at July 31, down 8.34% or US$8.8 billion compared with US$105.5 billion (RM398.1 billion) as at June 30. This is the first time BNM's international reserves had fallen below US$100 billion since August 2010. According to AmResearch foreign exchange weekly report, the unexpected increase of 5% in exports had failed to excite market positioning last week.